Brittany, located in the north-west region of France is the one area which I had never visited, so my recent trip took me there but I only spent 6 days. Only 6 days in Brittany? It worked out well because I only did the central region and I was splitting my 18 day trip into two parts: Brittany and Provence. In this week’s post, I share my itinerary in Brittany and it covers some of my favourite hotels, sights and food finds. While I paid for all my meals, accommodations, and transportation, this post does contain affiliate links. If you make a booking, I do earn a commission on each booking, at no cost to you. It helps support the running of this website and I do appreciate your help. 6 Days In Brittany: What’s Unique About This Itinerary? 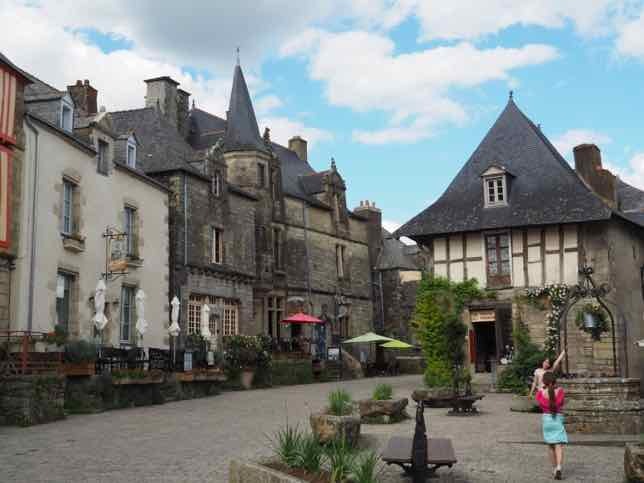 My Brittany itinerary covers some of the popular towns and sights in northern Brittany and Normandy, and southern Brittany in about a week but organized so that I didn’t feel rushed. The route basically cuts right down the centre of Brittany enabling me to see places in that corridor. I knew that in one week I could not do the far west coast of Brittany. That section would be for another trip. AutoEurope to do the road trip from north to south and before left, the price went down so I contacted the company and got a refund on the difference! Driving around Brittany using this itinerary did not include long stretches of time in the car. I was not changing hotels every day. I arranged to have 2 nights in each location and used those towns as my base for day trips. It was the perfect road trip to take so that I could see some of Brittany and then hop on a train in Nantes to head to Provence. After arriving at Charles de Gaulle airport in Paris, I picked up a car and drove to Pontorson, which is a small town only 385 kilometres away. It took me 6 hours to get there because of all the traffic. Keep in mind that it was a Friday in May and everyone was leaving Paris to go to the countryside. 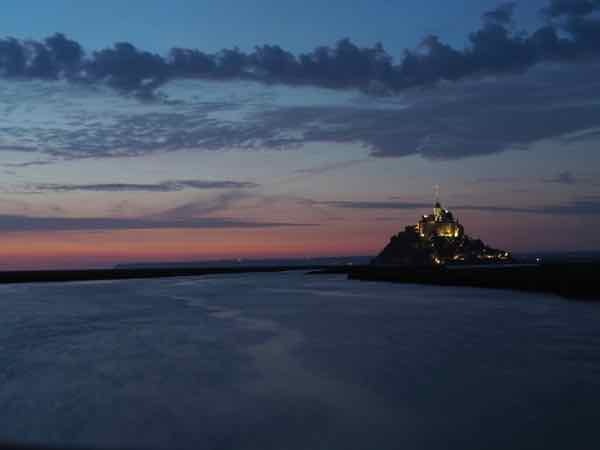 (Mont Saint-MIchel lies in Normandy; however, the Bay du Mont Saint-Michel lies between Normandy and Brittany, so at times you’ll hear people say Mont Saint-Michel is in Brittany). 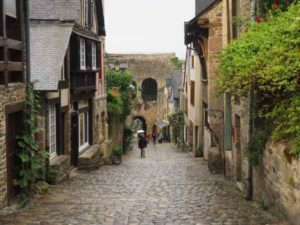 I chose this town because it is very close to Mont Saint-Michel (9 km), which was holding the Marathon du Mont Saint-Michel and I was running the Semi d’Avranches (half marathon) race. There aren’t many hotels in Mont Saint-Michel or at the foot of the Abbey, and the one I chose, Villa Mons, was a great find (and reasonably priced—88 Euros a night). 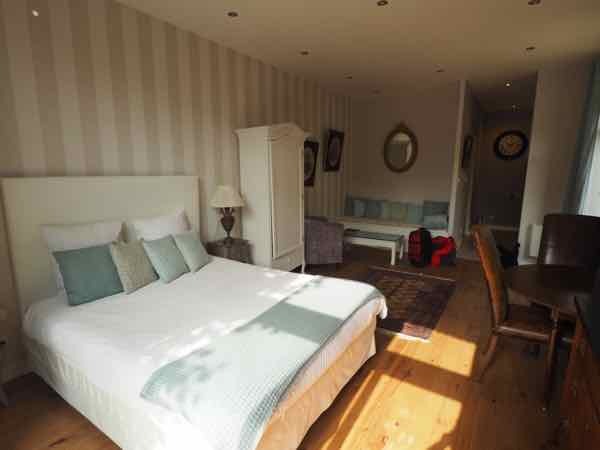 It was beautifully furnished and modern with a big bedroom, big bathroom, and included a superb breakfast. The perfect base to do day trips. I had dinner in the town at the Eugenie Hotel, located on the main street in Pontorson. It was just around the the corner from my hotel. Their specialties are galettes (crêpes) and the vegetarian (with cheese) was quite good. This first day was occupied with picking up my race kit and resting before the big race. I took part in the Semi d’Avranches race in the morning. You take the (paid) shuttle to the town of Avranches, which is east of Mont Saint-Michel and then you run 21.1 kilometres back to town! There are some excellent views of the monastery but of course you don’t have to do a race to see it. It is a nice idea to take the D75 and D275 roads (which are parallel to the Bay) to get different perspectives of Mont Saint-Michel. A visit to the Abbey at Mont Saint-Michel is definitely worth a visit but can get very crowded (which is one reason I didn’t want to stay in the town). I had already done it in a previous trip so I just walked around the walled-in town. When visiting, just be aware of the incoming tide. When I visited, the water was quickly getting higher and higher. 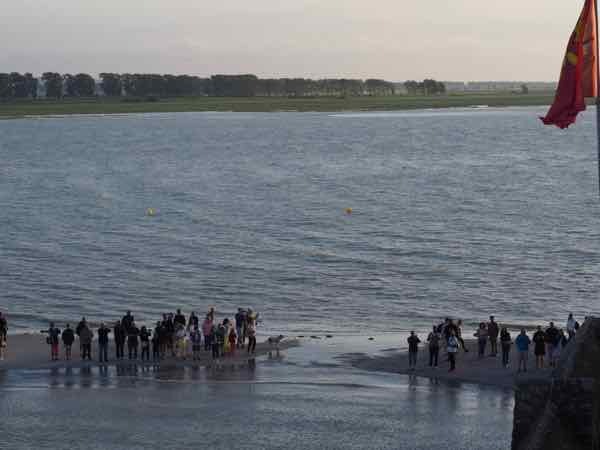 I don’t know how long people had to wait before the tide went back down but you could see from the picture above that time was running out. After the race, I headed back to Pontorson and picked up lunch from the local boulangerie one of my favourite sandwiches: the “Rosette” which is also known as the “saucisson”. It is basically a baguette with butter and sausage. But the best part is the addition of a cornichon, which is a tiny gherkin pickle. My reward for my long run. After resting from my race, I drove to the St. James store just south of Pontorson to do a little shopping. They are known for the the authentic Breton blue and white striped tops and accessories. I continued to drive south to Fougères, which is a prominent chateau in Brittany and is actually the oldest fortress in Europe. It is worthwhile walking throughout the ruins and you might be surprised to suddenly encounter farm animals. The goats, for example, hang out here, I suppose, to cut the grass. The town of Fougères is also quite nice to stroll. There is the Vieux Ville (old town) and many of the half-timbered houses are located in the area around Place du Marchix. Before dinner I walked to the monastery of Mont Saint-Michel. I had been inside many years before so I only walked the ramparts and through the walled-in section. 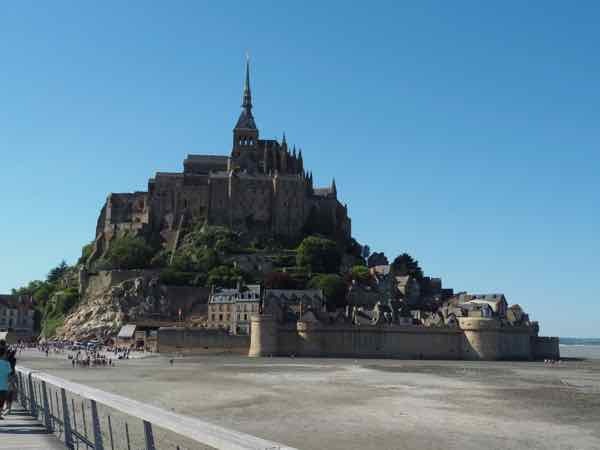 It was difficult finding a place to eat as I had gotten back to Mont Saint-Michel late; however on the road leading to Mont Saint-Michel and the Abbey is the Mercure Hotel. The hotel’s restaurant did still serve dinner and it did not disappoint. I had pork medallions in a cream and cider sauce. Apple products and Calvados are particularly popular in this region. One thing I really enjoyed doing was going to the edge of town before the causeway begins. There I set up my camera to take photos of the monastery and I’m glad I did. The images were worth the cold wind. While it would have been perfect to have seen the sun setting, I was very happy nonetheless. 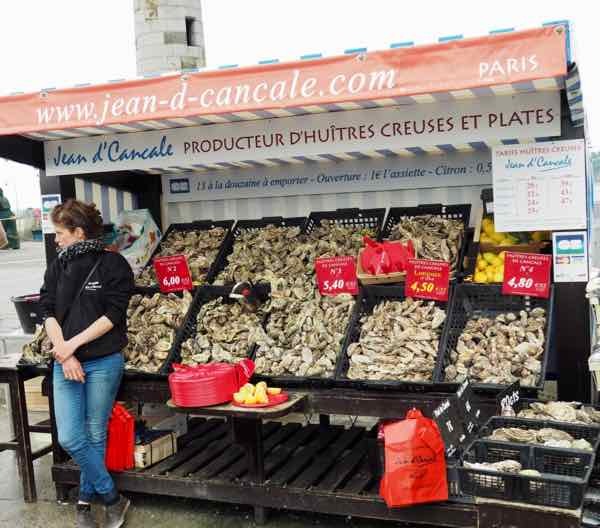 Cancale, known for harvesting oysters for centuries is the place for foodies to sample fresh seafood. It was Sunday (a long weekend) and even though it was raining off and on, it was crowded and difficult finding a parking space. All along the shore are restaurants and shops. While one would consider it very touristy, it was worth visiting, to see the market where all sorts of oysters are sold (ready to eat or in bulk) and to have a lunch with very fresh seafood. In Cancale there are many restaurants but Restaurant á Contre Courant had good ratings and was right by the harbour so I ate there. 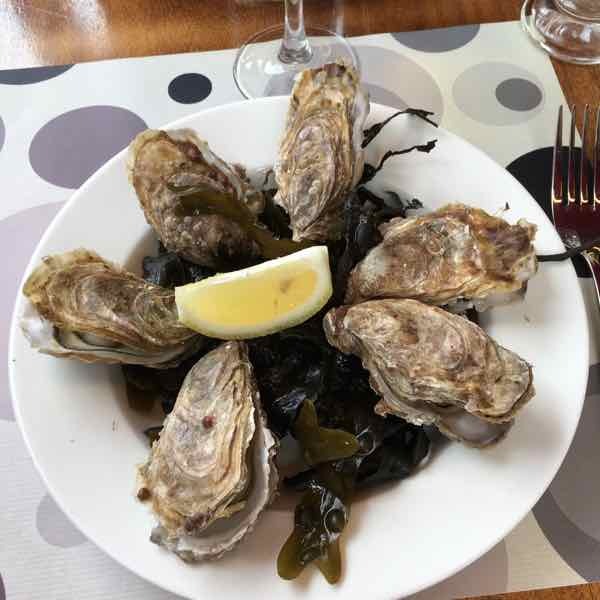 Of course I had to have oysters (6) and I added moules marinères and wine. All for 20 Euros. My next stop was Saint-Suliac as it has been designated one of the Les Plus Beaux Villages de France. Yes it was very pretty as it is on the coast; however, it was dead, likely because it was Sunday afternoon. Nothing seemed to be open and the only people around were tourists. I stayed at Maison La Tour for the next 2 nights and it was wonderful. That’s all I can say. I loved it. While it is called a bed and breakfast, it was basically an apartment with a kitchen and terrace, located around the corner from Dinan’s old town. All the furnishings were brand new and breakfast was brought to your room (and included in the price). The town of Dinan is a special town and I am so glad I stayed there. I couldn’t believe how many half-timbered houses there were as well as cobblestoned streets. You have to be very careful walking on these streets, especially when they are wet. 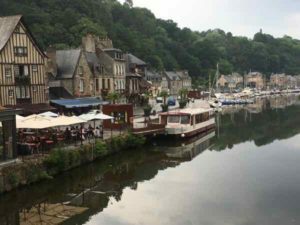 When visiting Dinan, just walk. Walk everywhere and I promise you you’ll love what you see. Dinan Hotel: Maison La Tour (32 Rue Comté de la Garaye), Dinan. I headed to St. Malo which is a walled port city just 35 kilometres north of Dinan. Upon arriving I decided to walk around the entire town on the ramparts. 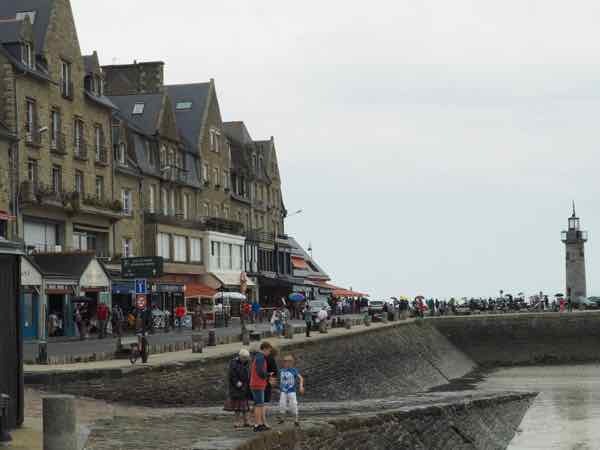 There are many views of the Gulf of St. Malo and the English Channel as well as a lot of history. 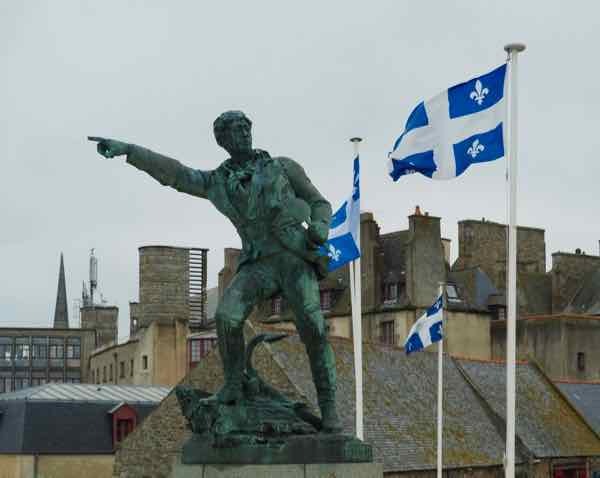 St. Malo is where explorer Jacques Cartier lived. He set sail from here in 1534 and claimed Canada for France. 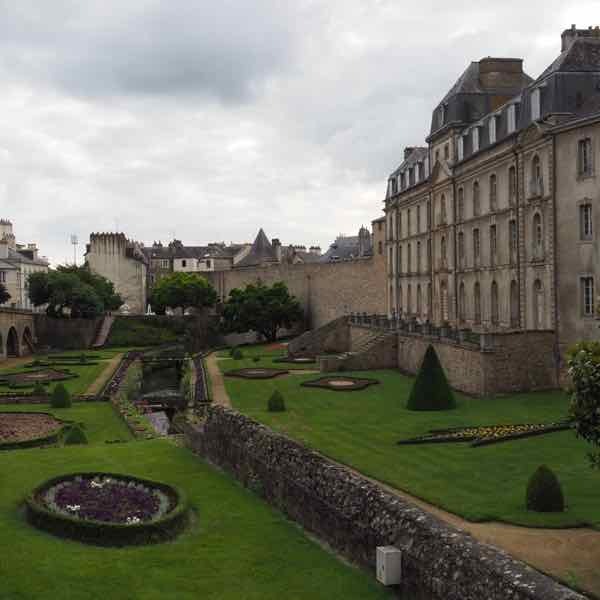 During one’s walk on the ramparts you will come upon monuments dedicated to Cartier as well as Maison du Quebec, a small house that is run by the government of Quebec and it provides cultural, travel, and work information about the province. 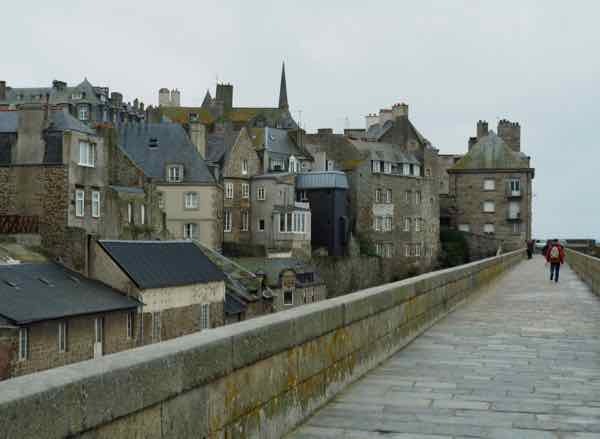 After doing the ramparts, be sure to wander through the streets of St. Malo. 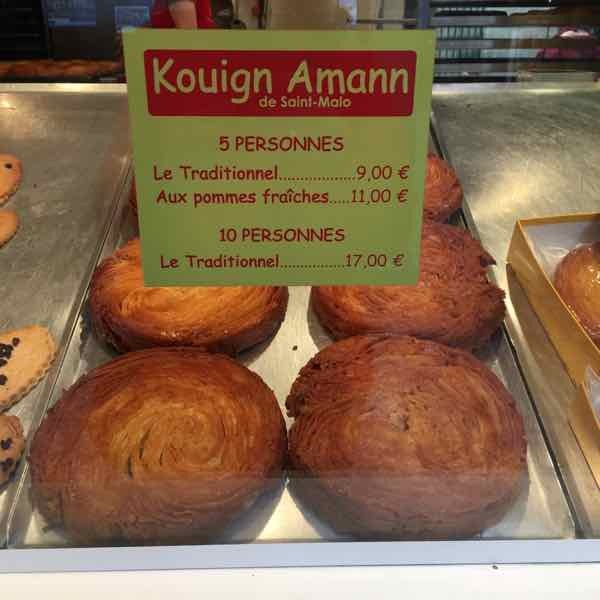 There are many restaurants but one food discovery that is a Breton favourite is “Kouign-amann”, a cake that is dough with layers of butter and sugar. Through baking, the sugar caramelizes and it is very sweet and gooey. I had apples added to mine. After St. Malo I was hoping to drive to Dinard, which is also on the Emerald coast of Brittany (Côte d’Émeraude of Brittany) but it was pouring rain, so I drove to the north coast to see some unique sculptures (where it had stopped raining!) In a previous post I wrote about this amazing site where over 300 rocks have been chiseled and sculpted by a blind abbot. Read the post here: Seeing Is Believing: Sculptured Rocks (Les Rochers Sculptés) In Brittany. I tried to visit the Jacques Cartier Museum located just a few kilometres away from Rochers Sculptés. The museum is located in Cartier’s manor house, which used to be a farm house. I just missed their tour and you cannot visit it without being on a tour. During high season the tours are offered more frequently. With only 6 days in Brittany, I knew I couldn’t see it everything. 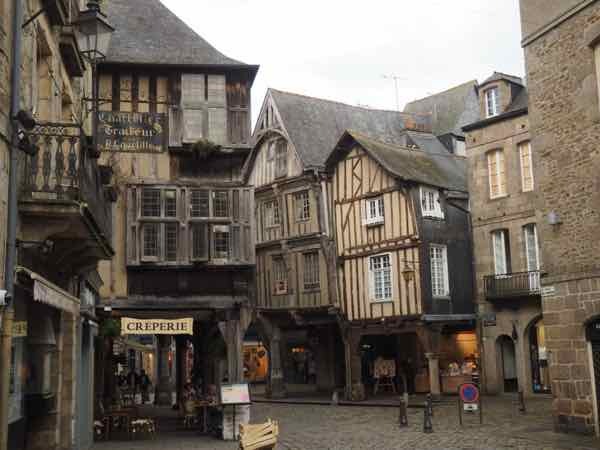 So for my Day 5 itinerary, my goal was to visit a few well known sites enroute, before reaching my hotel in Vannes, which is on the southern coast, along Brittany’s famous Gulf of Morbihan. First stop was at the Forêt de Paimpont (also known as Brocéliande). My post, Discovery In Brittany: King Arthur And The Brocéliande Forest Legend explains this unusual area. 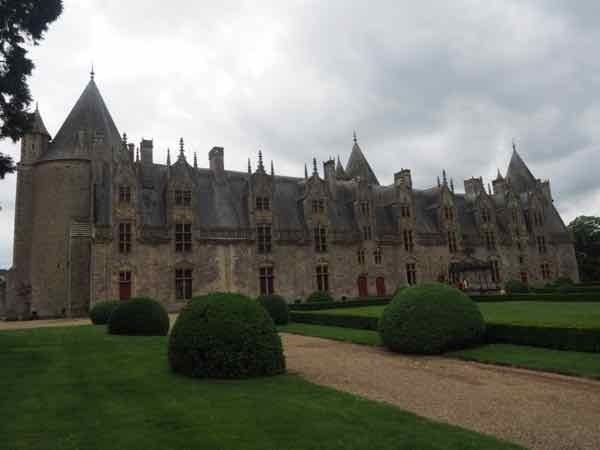 I then stopped in Josselin to see Château Josselin. 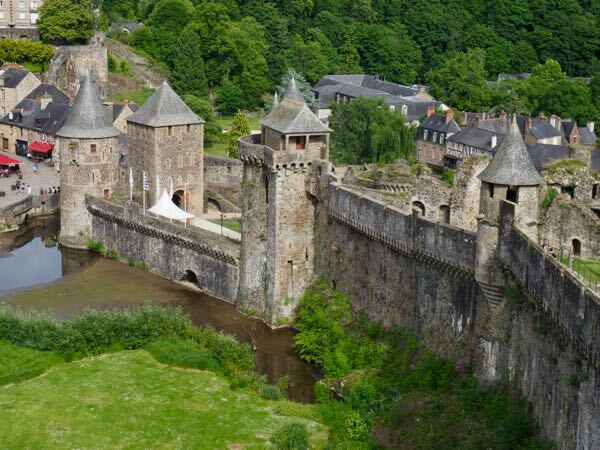 This medieval fortress was built in the 11th century and today, it is still lived in by members of the Rohan family. To visit you have to take a tour and when I went, the tour was in French. (English tours are only in July and August). In addition to the castle and the French gardens, there is also a doll museum which has a collection dating back to the 1700s. Vannes reminds me of Dinan. 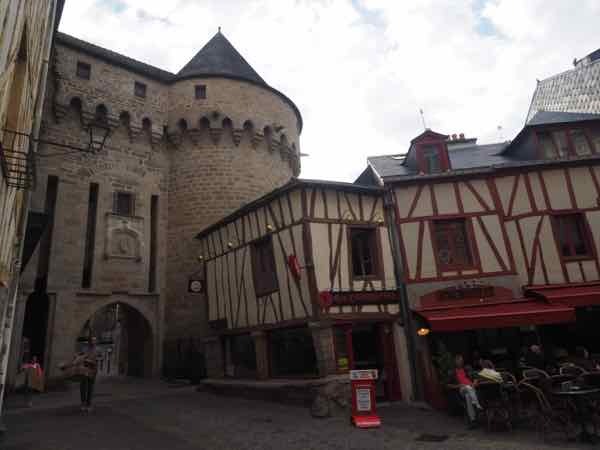 It’s another medieval walled-in town with cobblestone streets and timbered houses. Some highlights of Vannes include walking along the port (where you can take a cruise of the Gulf of Morbihan) and through the town. 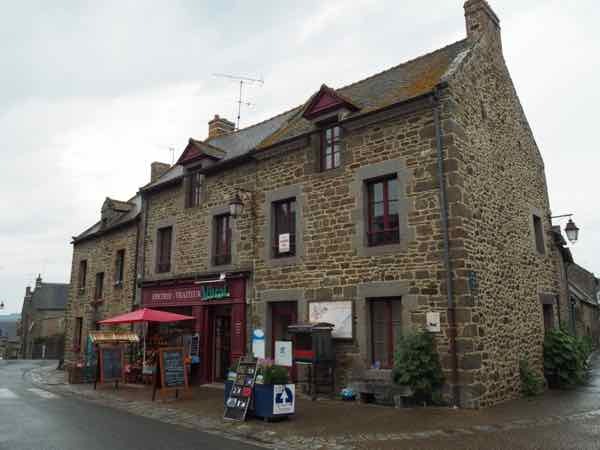 Be sure to visit the area around Place Henri IV and take a look at the architecture, where you will really see “old town Breton”.Dinner was near the harbour at “Atlantique”. They specialize in seafood and I had an apéritif of Pommeau as well as fish soup, cod and rose wine (34 Euros). In Vannes, I stayed two nights at Ti Laouenek, a bed and breakfast guest house which is an easy 20 minute walk from the centre of Vannes. I was the only guest and had a separate living room off my bedroom and bathroom. 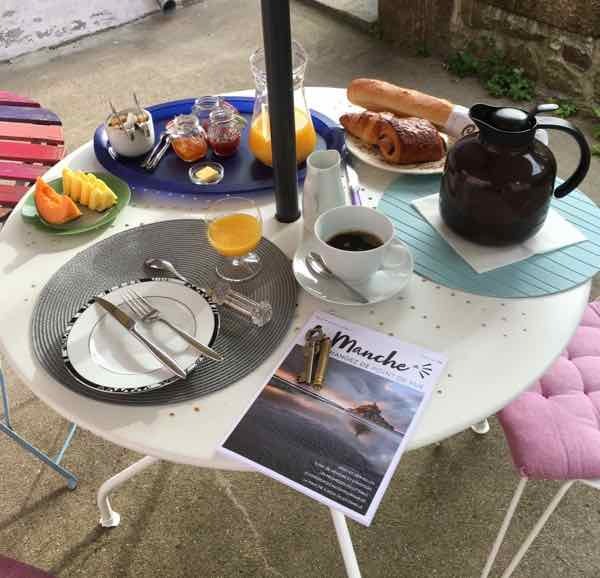 Breakfast was a feast and the owners, Beatrice and Patrick Baillard, were extremely friendly and accommodating, providing me with lots of tourist information and many ideas for dinner. On my 6th day, I headed to Carnac. I toured around the area to see the megalithic alignments which I wrote about in an earlier post: Discover France’s Version Of Stonehenge: Carnac’s Megalithic Alignments . I also visited the Quiberon coast and to be honest, it was pretty boring. Maybe it’s different in the summer but no one was there and it was just the site of the ocean. But the next town was different. Rochefort-en-Terre (first photo), a town designated not only a “Petite Cité de Caractére” but also one of the Plus Beaux Villages de France. It is another lovely town but was particularly quiet which surprised me as it was the end of May. But having few tourists meant it was so much easier to wander around. As many have said, the town looks like it hasn’t been touched in hundreds of years. While it’s a small town, there are a number of tourist shops and restaurant. If you are in Brittany, you have to have some crêpes so La Crêperie du Port was an excellent place to have them. My choice was their Galette Popeye—goat’s cheese, ham, crème fraîche, and a ton of spinach. For dessert, an apple crêpe! With a 25 cl carafe of wine the total cost was 18 Euros. 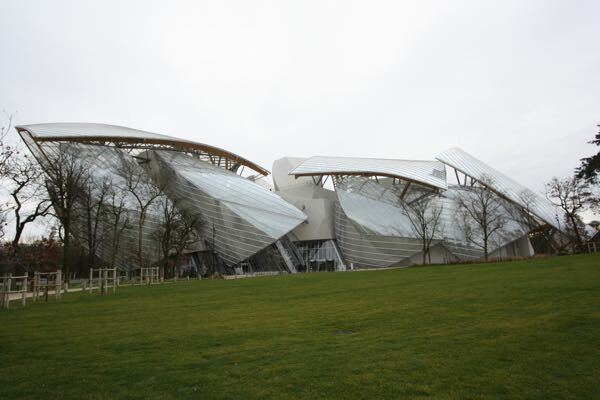 The next day I headed to Nantes to see Les Machines de L’île and catch my train to Avignon! Quite the whirlwind journey, but I felt it was the perfect itinerary for seeing some of the the most beautiful sights in Brittany, where I wasn’t rushed and where I didn’t try to pack too much in. The three towns I chose for my 6 days in Brittany (Pontorson, Dinan, and Vannes) were perfect for day tripping. 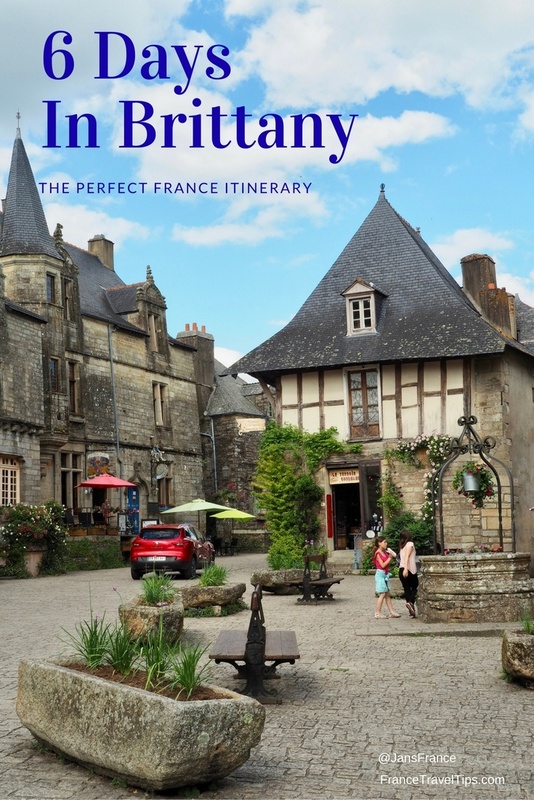 If you’re interested in the full 18-day itinerary covering Brittany and Provence, check the page entitled Itinerary #28 . 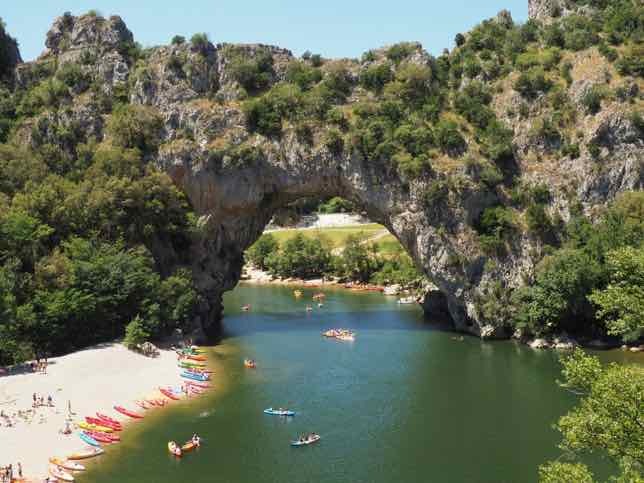 I’ll be adding my itinerary to Provence in the near future. Brittany is such a great part of France! So much history. My wife and I have good friends in California who are French (now also Americans) who spend part of the year in Tregastel in Brittany. We went to their son’s baptism there in the ancient village church and with a priest who might have been even older than the church! His Breton accent was so strong we had trouble understanding anything he said–quite a memorable day. What a wonderful region. I didn’t encounter any Breton that I didn’t understand, but granted I wasn’t in any small villages like you. What a great experience you had. I’ve read a few articles about Brittany over the years as well as novels using this lovely setting as the backdrop and have always found this remote area of France to be fascinating with its own unique culture and history. Loved reading about the beautiful villages that you visited and seeing your photos and oh, would I love to taste some of the offerings at the seafood markets! I’ve bookmarked this post, Jan as your itinerary is exactly my kind of slow travel with magnificent architecture and enough history for any history buff. Glad you liked it. Yes, it certainly is an area unlike the others I have visited. And, I will have to return! This trip looks amazing! When you are ready to do it again, let’s go! 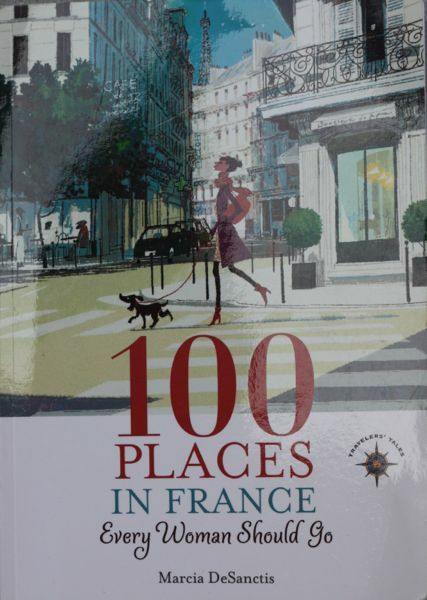 Would love to meet up with you in France. It’s been ages!